Creating PR campaigns that deliver successful results, above and beyond client expectations. Flick Electric Co. is New Zealand’s fastest growing electricity retailer, selling electricity direct from the spot market and delivering 19% average savings to its customers. Arriba! has been providing PR services to Flick since its inception in August 2014 and has helped achieve exposure for the company in a wide range of media outlets - from business, technology, consumer, retail, sustainable, parenting and mainstream. Arriba! has been delivering PR services for CQ Hotels Wellington for five years. The hotel, managed by Olivier Lacoua, is a multi award-winning and ground-breaking hotel, including being the first hotel in the country to offer NZ Sign Language (NZSL) training for its staff, a NZSL menu for guests, and the first hotel in the country to provide electric bikes for hire and an electric car-charging station. Arriba! has provided a range of services to CQ Hotels including writing contributing articles for media, event management, writing award entries and general media relations. We continue to secure coverage of the hotel in a wide range of national, regional and local media (print, online and broadcast). Here are just a few examples of coverage achieved. Arriba! developed an in-depth, proactive and tactical communications plan to raise awareness of the pig farming industry and was extremely successful in placing stories in a wide range of media, including industry, farming, tech, regional, community, consumer, FMCG, food and lifestyle outlets. We managed PR for the 100% NZ Bacon & Ham competition, developing and implementing a comprehensive trade and consumer relations programme. We also provided a range of communication services from crisis communications, internal communications, event management, stakeholder engagement and copywriting. Owner Rebecca Reed also helped manage, produce and host a series of educational videos on pig farming in New Zealand. This involved TV script writing, interviewing and hosting the video series, organising and liaising with film directors, camera crew and farmers. Arriba! facilitated the inclusion of these videos into the nationwide primary school and intermediate educational programme through its educational resource communications plan. You can watch the videos here. 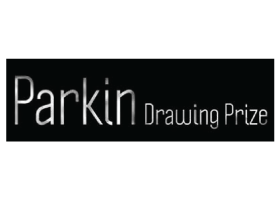 Arts patron and former owner of Museum Art Hotel, Chris Parkin is the founder of The Parkin Drawing Prize, New Zealand’s only national drawing award. From its inception four years ago, Arriba! PR has been project managing the awards on an annual basis, from promotion of the awards, event management, media relations, management of the judging panel, overseeing the social media and website management. Below are some examples of media coverage Arriba! PR has generated as well as the website and Facebook page. 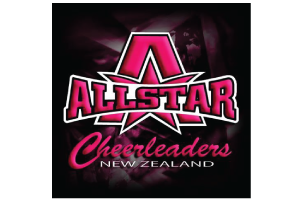 All Star Cheerleaders is New Zealand’s largest and most experienced cheer company, with over 1500 cheerleaders nationwide. Arriba! has been delivering regular PR support to All Star Cheerleaders for the past three years, including media relations around their involvement in the World Cheerleading Championships. Arriba! has a long-standing relationship with Olivier Lacoua, GM of CQ Hotels Wellington and in January 2016, we offered to do the PR for Olivier’s wonderful cause on a pro-bono basis. Olivier signed up to compete in the toughest foot race on earth - the Marathon des Sables - 250km over 6 days across the Sahara desert in April 2016, with all proceeds going to NZ Red Cross. Arriba! generated media coverage in all forms of media - mainstream national, regional and community newspapers, magazines, online and broadcast interviews. Here is just a snippet of some of the coverage achieved so far this year.